Severe drought and record heat is wreaking havoc on the mid-west food harvest. Lower farm yields and dwindling inventories have resulted in a 50% surge in corn prices over the past month with little relief in sight. But record food prices have created a boom for agricultural chemical companies. The sector is up 13% in the last month with traders are betting that higher food prices will boost demand for fertilizers. 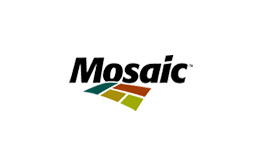 Mosaic Co. (NYSE:MOS): On July 17, Mosaic reported their 4th quarter earnings. The company beat the Street’s expectations by reporting an EPS of $1.19, down 18% YoY due to weaker demand for potash and other agricultural products. However, management provided an optimistic industry outlook, stating that farmers will “have their foot on the accelerator” with regards to producing more grain due to record high agricultural prices. Trading at 10.6x forward earnings, Mosaic is valued at a premium compared to its peers. With an estimated 5-year EPS growth rate of 8%, the stock trades at a rich 1.3 PEG ratio. However, Mosaic has the highest dividend yield in the industry at 1.75%. In addition, several hedge funds have been building positions in Mosaic. Michael Kaufman at MAK Capital One doubled the size of his position during the 1st quarter bringing his total stake in the company to $77 million. Richard Chilton at Chilton Investment Company also increased his position by 30%, bringing his stake in the fertilizer company to $102 million. Billionaires Ken Fisher and Steven Cohen are also among Mosaic shareholders (see Steve Cohen’s top stock picks). CF Industries Holdings (NYSE:CF): CF Industries has been the top performers in the fertilizer space. The stock is up 200% over the past 5 years and has returned 14% in the last month. The company reported record profits during the 1st quarter, posting an impressive 54% YoY increase in earnings to $5.54/share. CF Industries is the cheapest stock in the fertilizer space. The stock trades at 8.3x forward earnings, below the company’s historical 10-12x forward multiple. The stock also has the lowest dividend yield in the industry at 0.81%. Several hedge funds initiated positions in CF during the 1st quarter including Anthony Bozza at Lakewood Capital Management and Michael Messner at Seminole Capital. Billionaire Jim Simons’ Renaissance Technologies boosted its stake in CF by 62%. Simons’ hedge fund has the second largest position in CF among the 400 hedge funds we are tracking (see Renaissance’s biggest bets). Potash Corp of Saskatchewan (NYSE:POT): Potash Corp, which was previously featured on Insider Monkey, posted sluggish 2nd earnings results on April 26th. The company reported a quarterly EPS of $0.56, missing the consensus estimates by $0.08. The company’s revenue was also down 20.8% on a YoY basis. Potash Corp. is the most expensive stock in the fertilizer space trading at 12.3x forward earnings. However, analysts believe this premium multiple is justified due to the company’s exceptional growth profile. Potash Corp. is projected to grow EPS by 14% next year, giving the stock a 1.35 PEG ratio. Several hedge funds have initiated positions in Potash Corp. during the 1st quarter including Paul Tanico atCastlerock Asset Management and Michael Karsch at Karsch Capital Management. The company is scheduled to release their 2nd quarter earnings after the bell on Thursday, July 26. Analysts expect a strong report with improved guidance on higher commodity and potash prices. Billionaires Richard Chilton, Steve Cohen, and James Dinan are among the top five holders of Potash (see Dinan’s bullish bets). Agrium (NYSE:AGU): Agrium shares hit a new 52-week high following a strong earnings report on July 18th. Management raised their EPS guidance by 15% citing robust demand for agricultural products. The impressive results sparked a series of upgrades and target price hikes by equity analysts. Agrium is one of the cheaper names in the industry. The stock trades at 9.2x forward earnings, slightly below the company’s 11.1x average forward multiple. Hedge funds were actively building positions in Agrium during the 1st quarter including Wayne Cooperman at Cobalt Capital Management and Michael Messner at Seminole Capital. Value investor Joel Greenblatt and billionaire Israel Englander are among the hedge fund managers who initiated brand new positions in this stock (see Englander’s stock picks).